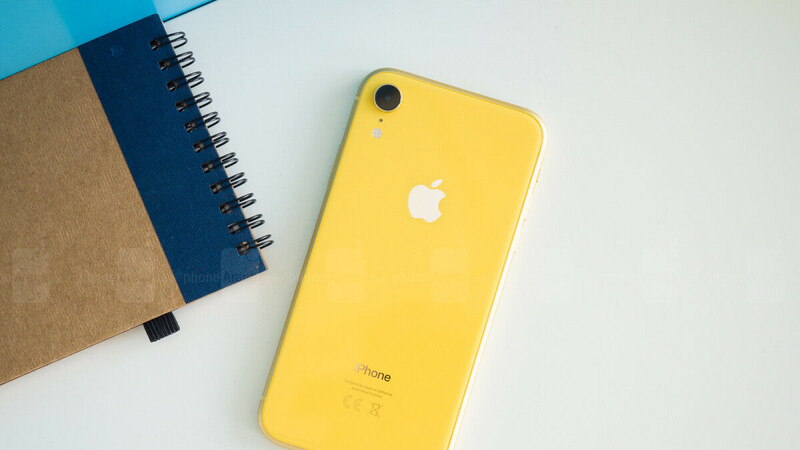 The iPhone XR might be too good to ignore, based on in-depth reviews, battery life ratings, and rigorous durability tests, but it seems that’s precisely what a lot of potential buyers are doing. Apple’s lower-cost 2018 iPhone didn’t purportedly hit the opening weekend sales heights analysts were expecting, following weaker pre-order scores than the XS. Now reputable business journal Nikkei Asian Review is claiming an earlier reported “production boost” has been canceled, pretty much confirming both Apple and industry pundits overestimated iPhone XR demand. We’re talking a pretty large gap between the numbers previously anticipated by the handset’s manufacturers and what’s actually needed right now to guarantee plentiful supply throughout the holiday season. Foxconn, the world’s largest contract electronics manufacturer and the leading iPhone XR assembler, is apparently using “only around 45 production lines” of a prepared total of 60 to manufacture its share of Apple-requested units. Meanwhile, Pegatron, which is another key partner of the Cupertino-based tech giant, has had to “suspend plans to ramp up production”, currently “awaiting further instructions”, according to supply chain sources that are typically right about these things. Overall, we’re certainly starting to understand why iPhone unit shipments will be scrapped from the company’s future financial reports. Of course, this type of (credible) gossip could hurt Apple even more if it’s not debunked, although at the end of the day, profits are all that matter anyway. On that note, Apple must be happy that the iPhone XS Max is still outselling both the XS and XR, but then again, the XR’s lower-than-expected popularity has also reportedly resulted in an unexpected production ramp-up for the even cheaper iPhone 8 and 8 Plus. Thought they sold 8 millions? These articles come out every time to get people to click bait the original article. There has been no truth to these claims. Listen to the real numbers when apple reports them. Not buy into this. All this does is really make apple more money by initiating a stock drop than a stock increase that’s even higher than before. Apple announced they won't be releasing sales numbers in the future. The only reason for a move like that is because their numbers are declining and they're being compensated for by higher prices. Spin it any way you want but that's not a long-term solution to a glaring problem. TheOracle1 you hit the nail on the head. Also I would like to add that Apple has priced their repairs of their new iPhones, higher than the manufacturing cost of the iPhone itself. Therefore making it a moot point for when people say that Apple has great service. If you mean having your wallet raped, then Apple does have great service. Apple won’t report the numbers. Which means it’ll be in the hands of analysts to predict what they sold. While part of it is due to the larger smartphone market taking a downturn, the other part is because Apple has decided to increase prices to offset lower sales. It may make a winning strategy to shareholders, but a losing strategy when it comes to consumers. It's not a losing strategy for consumers because they have a choice and can vote with their wallets. Phones aren't an essential commodity. Apple just announced they will no longer report iPhone sales numbers, these rumors of low sales may actually be true for once. Show us where they sold 9 million during the 1st weekend? Link!! They said, the xr also shattered records. Shattered what? Source for that? IIRC, They never break their own sales record since iPhone 6. Lmao, what did you expect Apple. I was waiting for this phone for a while now but im not gonna pay that much money for a phone that has no oled and is low resolution. Also no tele or wide angle camera..... sorry but the competition has surpassed them... and the xs phones that can compete are out of reach for alot of people. Say whatever you want but when I put my lg v30 next to the XR the differences are very noticable....whatever the reviews say. And that bezel is hugeeeee. It looks like a toy. I've set up the XS max for familymember, now thats a really nice/great phone. But yeah, im not paying more than 900 for a phone. Even the fanboys around me are starting to doubt if they should get an iphone...... some probably will, but them doubting says enough. Its almost the same news when apple releases new product. Its a flop then when the quarterly report of profit, its always a record breaking profit. Yeah thats because they are going for more markets. But they allready sort of entered china and india and the amount of new markets they can enter is getting limited. Guess thats also the reason they will stop publishing how much devices they are selling from next year on. Hard to say which iPhone model is selling best, but clearly something big is happening currently with iPhone saleshttp://gs.statcounter.com/vendor-market-share/mobile/worldwide/#daily-20180701-20181104 Here is Europe stats which look even crazier.http://gs.statcounter.com/vendor-market-share/mobile/europe/#daily-20180701-20181104 I think all them are selling very well. In my country it shows a market share of 41% for Apple but i can tell you those are the older phones. This past year I have maybe seen 2 Iphone x phones in peoples hands. Most people went for the 8 or kept their 7, 6 or even iphone 5s phones. The cheapest iphone this year (xr) is 50 euro more expensive. Most people here wont even consider xs and xs max. Or they'll probably buy the 8. So yeah Apple will still sell well but not on their latest phones. This year it wont affect them much because of that but If they continue like this, next year their market share will start to decline here for sure. I cant post images but when the oneplus 6t launched here last week, there were lines of a few hundred people lol. It was like the good old Apple days. I think you will find this is not based on sales. Apple has nowhere near 20%, it is not even the second biggest. That's whole userbase and traffic. Apple for sure have sold hundreds of mililons more phones than huawei, if that's what you meant by saying they aren't even second biggest. Until Tim Cook says the XR has been a sales success, and all the tech blogs do a 180, and say how this phone has exceeded everyone's expectations. Nobody wants to be known as the person with the "cheap" iPhone. It's all about status. Refurbished last year model is kinda okay-ish since it's still the best iPhone (of last year), but cheaper Poor Man's version of latest iPhone is a No No..
Wanna kill all iOS devices in a sweep? Release helium gas into a building and it will kill all iOS devices at once.https://www.reddit.com/r/sysadmin/comments/9mk2o7/mri_disabled_every_ios_device_in_facility/ Weird PhoneArena haven't reported about this? Did you see that ugly long search bar on top of PA page? Try to type "helium" on that, and thanks me later. Well darn, I guess I can’t go into areas full of helium gas anymore. /s Let’s try a more realistic scenario....drop YOUR phone in water. Oh I see. Now that all iphones are waterproof it's a wonderful thing? It was meaningless when they weren't waterproof, just like oled, large ram, octacore, fast charge and large screens were gimmicks before Apple had them. You guys are a ridiculous.